Astrology on the Web: What is Your Sign? 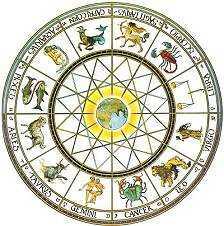 Your Sign (Zodiac Sign, or Sun Sign) is the sign of the zodiac in which the Sun was placed on your birthday. There are 12 signs of 30 degrees each, making up the full circle of the ecliptic, the path of the Sun through the zodiac, as 12x30=360 degrees. Despite recent media controversy, there are definitely not 13 signs, because the so-called "new sign" Ophiuchus (the Serpent Bearer) is a constellation, not a sign. Signs and constellations are not the same thing. It is not new either, as it has been well known since antiquity. For more on this see Stars and Signs. If you do not know what your sign is, select your birth month and day, then click the "Submit" button. Your sign will appear in the box. To see what it means, check it out in our table of the Zodiac Signs and their dates. Click on the sign in the table that matches your birthday to read some really interesting stuff about you, your relationships and your sexuality! Click here to see the Symbols of the Zodiac. NOTE: For some signs, these dates are not exactly the same from year to year and, if you were born on the day when the Sun changes Sign, you really need to consult a good astrologer, to draw up your birth chart and find out which Sign is really yours. Or you can calculate it yourself, with our Free Instant Chart Wizard! Hardly any people are actually born at the very moment the Sun moves from one sign to the next. Unless you are one of these rare people born right "on the cusp", you will be pretty much one sign or the other, although a person born just before the Sun changes sign will share characteristics of both signs. Remember, the Sun sign reveals the true nature of a person, the essence of his or her character. Getting it right once and for all could turn out to be a major factor in the progress of your life. You can order a birth chart from our secure order form. Click Here! Enter your birth year. For example: "1986"
The Zodiac ("Circle of Animals") is the name given to the band of the ecliptic encircling the earth. It is like a belt in space, about 15 degrees wide, across which the planets move and form their geometrical relationships. The Zodiac forms the stellar backdrop for the apparent path of the Sun, called the plane of the ecliptic. Astrologers divide the circle of the ecliptic into twelve parts, each subdivided into 30 degrees, making 360 degrees in all. The twelve divisions are called the Signs of the Zodiac. These signs are related (but not exactly identical) to the constellations (star groups) of the same name. The Chinese Zodiac is based on the Lunar Year, while Western Astrology is based on the Solar Year, so the two do not exactly coincide. The Zodiac Animals form the underlying basis of this ancient system, but bear in mind that there is much more to it than appears from the simple Animal Characters. For more on your Chinese Zodiac Animal, click here!